Calling all chocolate lovers! This is the blog for you because chocolate is such a power food and foodies are experimenting and creating festive recipes with chocolate. You might think that chocolate tastes best when just had by itself but believe us, if you do it right, chocolate adds richness and texture to many dishes. If you want to try something new, consider making these festive recipes with chocolate! 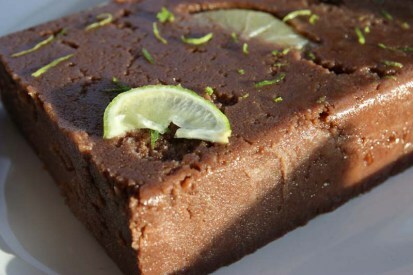 This is one of the unique chocolate recipes to make for the festive season! You’ll want to make this recipe every weekend, perhaps as a chocolatey end to a lovely brunch with your main course. 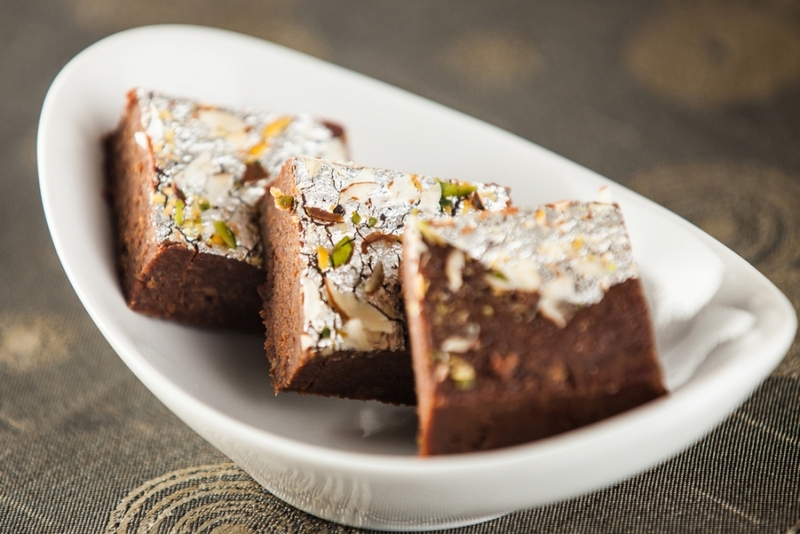 Ingredients: Cocoa Powder – 4 Tbsp, 9 Marie biscuits, Almond Powder – 9 Tbsp, Milk Powder – 12 Tbsp, Sugar Powder – 3 Tbsp, Condensed Milk, Chopped walnuts / gems / granulated sugar sprinkles to garnish. Directions: Powder each separately – Marie biscuits, almond and sugar. To a wide bowl, transfer all the ingredients mentioned except milk. Mix them well. Add milk to the dry mixture and make soft dough. Grease your hands and roll the mixture into round shape. Roll them in almond powder and refrigerate for about 1 – 2 hours. Garnish with chopped walnuts. 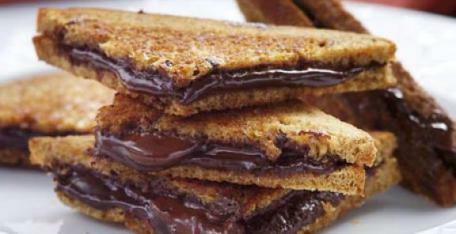 Both simple and more decadent, a grilled chocolate sandwich makes for a perfect serve during festive occasions. Ingredients: 4 bread slices, ½ cup chocolate chips, 1 banana, and butter to grease. Directions: Gather all the ingredients and slide the fruit thin. Prepare your Maharaja Whiteline Sandwich maker. Heat it, grease with butter generously, place the bread, spread a layer of chocolate chips and arrange the fruit slices. Place another bread to cover it and close the lid. Toast for about 3 minutes or as per your need. Cut into triangles and serve with more fruits / milk. Directions: Heat the milk and leave it side. In a heavy bottom pan, heat the ghee and add semolina, roast on a low heat until roasting aroma comes or turns in to golden colour. Now add milk and mix well. Add sugar, coco powder and let it cook. When it starts to thicken again add chocolate and let it melt. Mix everything and switch of the heat. In a greased tray evenly spread the mixture. Let it cool slightly and cut into diamond / square shape. Sprinkle some icing sugar and it’s ready to serve. While scrumptious, this is also easy to make dessert. It’s super-quick, so gather all the ingredients together when you’ve got a hankering of some serious chocolate goodness. Directions: Mix the milk powder with baking powder, maida, ghee and little water and knead into a smooth dough. Cover it with a lid and set aside for 15 minutes. Divide the dough into small smooth balls. 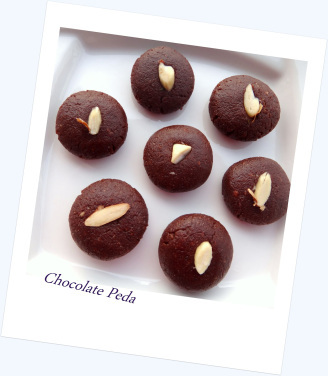 Fill chocolate chips in it and cover it with the mixture and make a round-shaped ball. For preparing sugar syrup add 2 cups of water and cardamom powder to sugar and make half thread sugar syrup. After the sugar dissolves in the water, boil the sugar syrup for a few minutes and the syrup is ready. Heat oil in a pan for deep fry the jamuns. Fry the jamuns on a low flame stirring them constantly. When they turn to golden brown color, remove from the oil and put them into sugar syrup. Soak for 30 minutes. Serve hot or chilled. Chocolate samosas seem hard to make but they’re really not. If you have a sweet tooth, you will love this dessert. Ingredients: 1 cup grated chocolate, 1 ½ cup refined flour, 4 tbsp castor sugar, 2 tbsp ghee, 1 tbsp pistachio powder, 1 cup sugar, oil for deep frying. Directions: Combine refined flour, 4 tbsp castor sugar and ghee in a bowl. Mix well and crush it till it resembles a breadcrumbs texture. Add water and knead into semi-stiff dough. Refrigerate for 10 minutes. Combine chocolate and pistachio powder in a bowl. Mix well and add 1 tsp sugar. Divide dough into equal portions and roll out into rotis. Cut the rotis into halves. 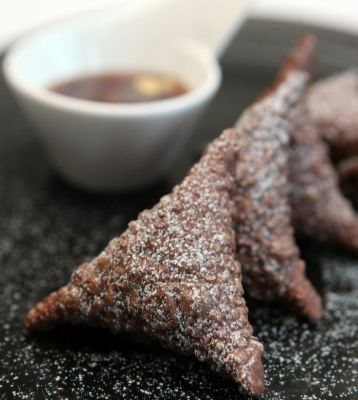 Roll into a small cone and place a spoonful of the chocolate mixture to seal the samosa. Prepare a thick sugar syrup by cooking sugar in 1 cup water. Heat sufficient oil in a pan and deep-fry samosas on low heat till golden and crisp. Garnish with reserved chocolate mixture. What’s your most to die for chocolate dessert? Tell us!